This Martin 000-17 is a beautiful example of vintage feel and charm. Finished in satin Black Smoke with grained ivoroid binding and pickguard. A real treat to the ear and the eyes. The guitar is crafted with a solid Sitka spruce top and mahogany back and sides for a sumptuous, warm tone. The rosewood fingerboard and bridge compliment wonderfully against the rich, black satin finish. 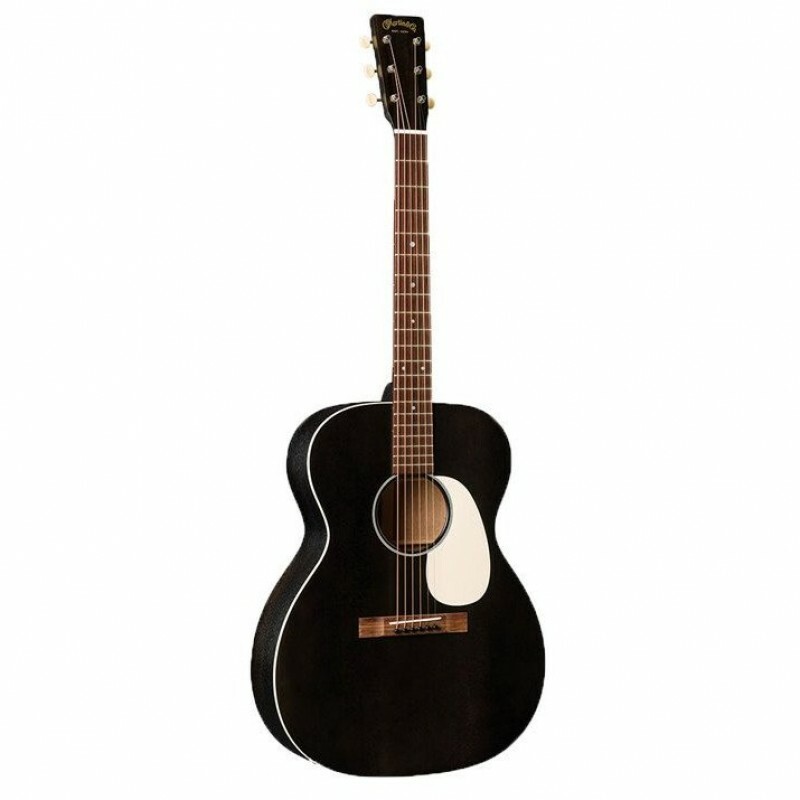 The comfortable body size and modified low oval neck with a Performing Artist taper make this guitar easy to play. Tree of Life Guitars is an authorized Martin dealer in the UK and you'll find this and many other great models in stock.